The original COPO Camaro models rolled out of the factory fifty years ago. 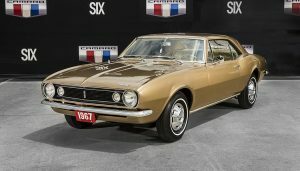 Standing for ‘Central Office Production Order’, these first COPO Camaro models were a way for dealers to factory-order obscenely powerful pony cars back in the day with monster V8’s. 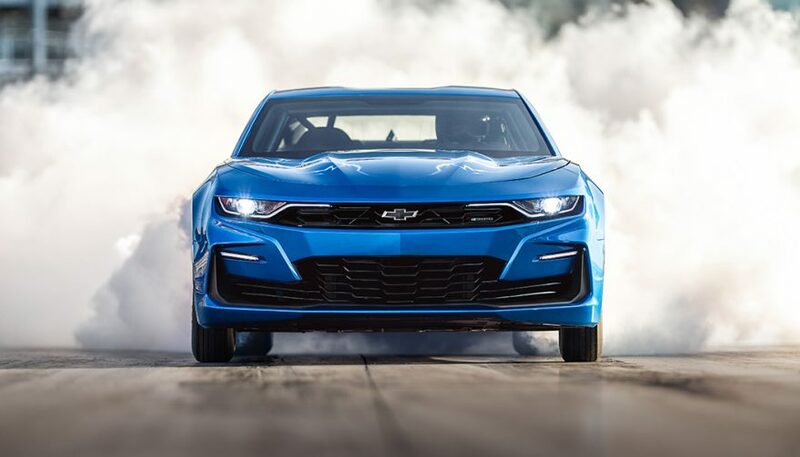 But the latest COPO Camaro – or rather, the eCOPO Camaro Concept – is a stark contrast to gas-guzzling performance cars. Chevrolet has partnered with Hancock and Lane Racing who have success in NHRA drag racing as well as involvement in the “Shock and Awe” record-holding electric drag racer. What they’ve developed is a track-slaying eCOPO Camaro Concept that blows the drag-racing doors wide open. 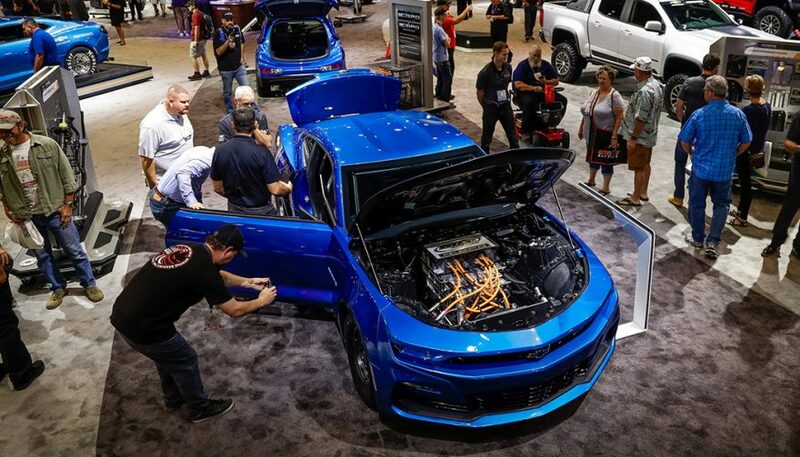 Based on a pair of BorgWarner HVH 250-150 electric motors, that each generate more than 300 lb.-ft. of torque, the eCOPO Camaro is all electric under the hood, not a hybrid. 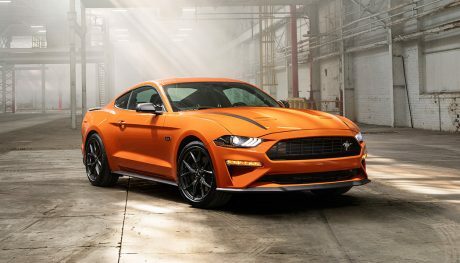 All said and done, it makes an equivalent of more than 700 horsepower and 600 lb.-ft. of torque. The ridiculously low-weight power plant spins a conventional race-prepped Turbo 400 auto transmission. Power goes to a solid rear axle. The reduced engine weight means a rear-end weight bias of 56 percent, meaning better hookups on launch. The electric powertrain is set up to bolt to any transmission that can handle a GM LS V8 engine, though you would still need controllers for all the electrons. And what powers the electric motors? That’s an all-new 800-volt battery pack, twice as large as the one found in the Chevy Bolt EV. Made up of four 200-volt modules of 175 pounds each, they’re strategically mounted low in the chassis for optimal weight distribution and handling. Chevy hasn’t reported a top speed for the eCOPO Camaro just yet, but testing is still ongoing. They’ve estimated a quarter-mile run in just 9 seconds. Just like the Dodge Challenger SRT Demon, you can guarantee this car will be banned by the NHRA for being too fast. Unless they make certain safety mods. The first widely-recognized COPO Camaro was to Yenko Chevrolet, establishing a wicked trend. Stuffed with a 427 cubic-inch big block V8 with 425 horsepower, 201 out of 1,105 COPO models were released to Yenko in 1969. The same year, Gibb Chevrolet ordered 69 units of a racing car using the 427 cubic-inch big block. Tuned properly, these cars could achieve low ten-second runs in the quarter mile. The COPO moniker was retired until 2011. When Chevy unveiled a COPO concept car at the SEMA show. Massive response drove a limited production run in 2012 through 2015. Throughout this short run, options included a naturally-aspirated 427-c.i. V8, two supercharged 327-c.i. V8’s, and a supercharged 350-c.i. small-block. While highly collectable, these COPO Camaro models are not street legal. Like the original COPO models in the sixties and beyond, the eCOPO Camaro won’t be available for purchase as is in the dealership’s paperwork – at least, not yet. What Does the eCOPO Camaro Mean? Don’t expect every bowtie-wearing Chevy to have a 700-horsepower electric motor anytime soon. However, it shows Chevy’s commitment to electrification, as well as the possibilities it presents in performance. But it also offers an avenue for future product development in Chevy’s performance crate engine business. Looking to repower your track-bound drag-racer, or potentially a classic Chevy or Pontiac? It might not be long until an electrified conversion is available. 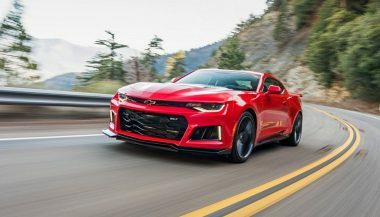 We all knew the Camaro ZL1 was fast, but Chevrolet just revealed that the beast could exceed 200 mph in some track conditions. So there's that. 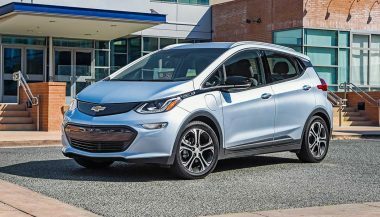 Three factors were in play naming the Chevy Bolt EV the Car of the Year: range, price and the fact that it's an electric car that drives like a normal car. 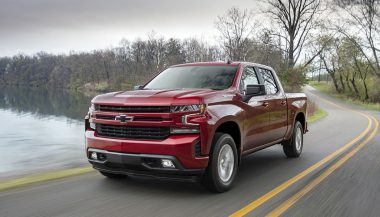 Chevrolet Chevrolet is debuting a new four-cylinder Silverado in 2019, and the spied 2020 Suburban test mule hints an independent suspension is coming.